Foremost designs and manufactures a series of Pipe Handling Systems to suit your requirements for safe and efficient handling of tubulars. 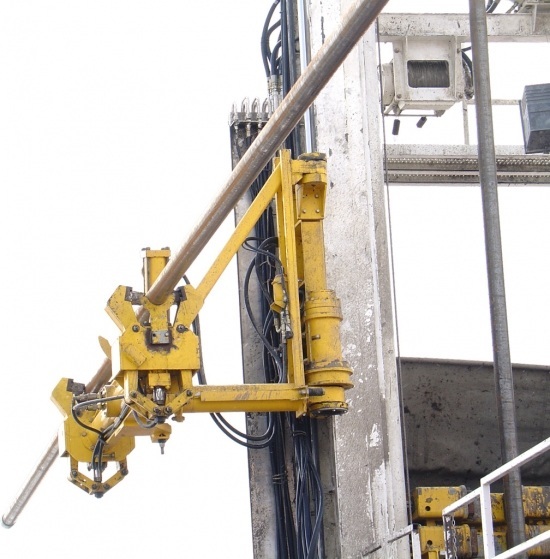 Foremost’s Pipe Handling Systems have been used on a variety of drilling rigs in various applications around the world to increase drilling productivity and safety. Our systems are compatible with most mast designs and capable of handling various drill pipe lengths, weights and diameters. 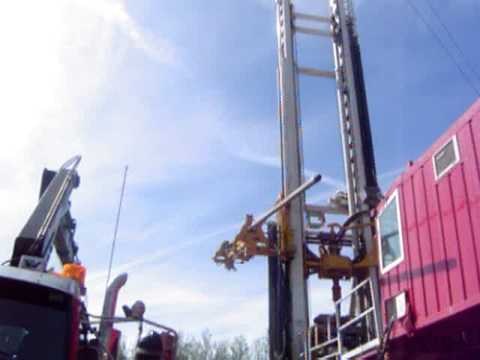 The Foremost Pipe Handler is mounted directly to and parallel to the mast of the rig. 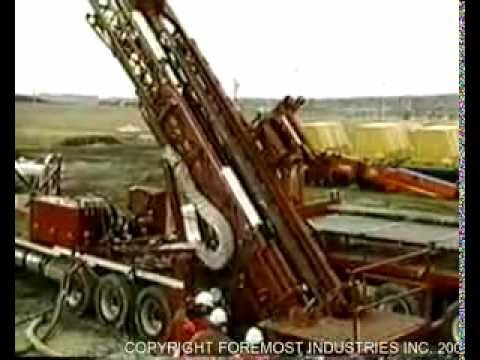 Pipe Handlers are designed to engage drill pipe and collars that are positioned on a horizontal plane parallel beside the drill rig and within reach of the pipe handler jaw assembly. The rod handler jaw assembly firmly clamps the outside diameter of the drill pipe in two positions. 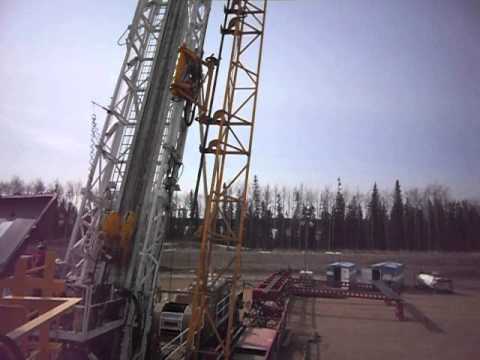 Once engaged, the carriage assembly is raised along the length of the mast to a point where the drill rod can be positioned parallel with the mast. The drill rod is then articulated directly under the spindle of the rotary drive. 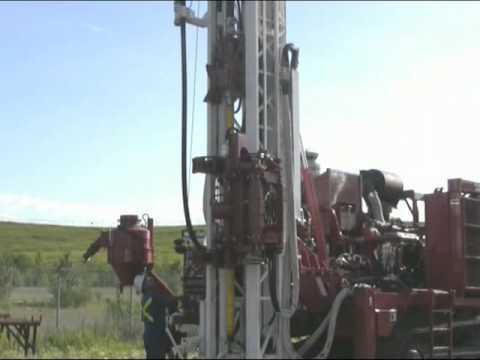 With the rod held stationary in the clamped position, the rotary drive is lowered until the spindle engages with the thread at the top of the drill pipe. The spindle is rotated to make up the threaded connection utilizing the pipe handler jaw assembly as a back-up. With the connections made up to the proper specification, the jaw assembly is disengaged, articulated back to the side of the mast and repositioned to the loading height at the base of the mast.